For any proud horse owner there comes a time when you want to mate your stallion or mare. This is an important decision. Be patient. Be prepared. You've taken a good look at your mare and believe that she is good mating material. Plus, you are rather fond of the idea of having a baby around. It is time to begin the long, but rewarding task of find a stud for your mare. While it may be a charming idea to let nature take its course and allow your mare to graze freely with the stud of your choice, it is always best, for the novice breeder, to seek professional advice beforehand and assistance during the mating. First of all, take your time. Finding the right stud for your mare will give you a better chance of ending up with the type of foal you want. Be patient. Breeding a horse is expensive so be sure to understand what you are getting yourself, and your mare, into. There are so many things to consider before proceeding. Determine what sort of foal you want. In comparison to your mare do you want a bigger or a smaller foal? Do you want a taller or shorter foal? What purpose do you want it to fulfil? Do you want a working breed or a horse for pleasure riding? Do you want to alter any of your mare's physical or personality traits? You need to have clear answers to all these questions in order to find the ideal stud for your mare, that is, the stud that will help produce the foal you want. Once you've determined what you want, team up with a breeder. 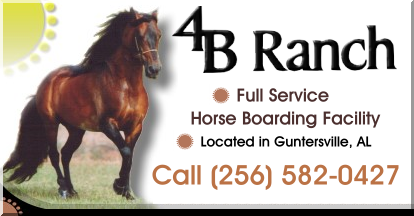 Search the Internet for breeders or browse breeder advertisements in horse magazines. There are many stallions available commercially so it is best to locate one of these. Owners of boarding facilities can often point you in the right direction. If they don't have any studs in their facility, they'll surely know of a breeder who does. Horse trainers or even your local vet are people you should talk to. Horse shows are also excellent places to find breeds of your choice and to learn more about horses and your options. If you are after a specific breed, be it Quarter horse, Arabian or Thoroughbred, a specific web search could well bring up the results you need. Many websites have directories and classifieds. When you find a potential stud talk to people who've bred their mares to the stud, before you go ahead. Ask about the foals. Also, make sure you discuss what the fee will be if your mare does not conceive or if the foal is aborted during pregnancy. Read up on the horse breeding season and pregnancy. Breeding season is between March and October. Know that pregnancy lasts 11 months and that the best time for a foal to be born is between May and July. Mares can breed until late in life, but should not generally begin breeding until at least four years old. Regular exercise is imperative for your mare's good health during this crucial time. Dean Erickson. Journalist, and web site builder Dean Erickson lives in Texas. He is the owner and co-editor of horse-mating.info on which you will find a longer, more detailed version of this article.